Connecticut opposition to the war in Vietnam paralleled that found in many other parts of America. When the movement against the war was in its early phase, people from the state traveled to New York City and to two national marches in Washington, DC. As the war continued, opponents formed local organizations and held local protests, particularly on college campuses. Students for a Democratic Society (SDS) was an early antiwar catalyst and beginning in 1965 SDS established chapters at Yale, Wesleyan, the University of Hartford, Trinity College, the University of Bridgeport, and the University of Connecticut. They held protests and teach-ins on each of those campuses over a period of years. 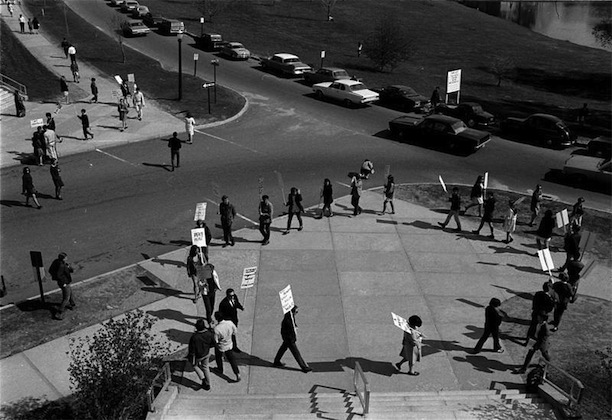 One of the more dramatic actions took place in 1968 when UConn SDS members staged a series of protests over the presence of Dow Chemical employment recruiters arriving on campus. Dow manufactured napalm, an incendiary antipersonnel weapon used extensively in Vietnam, and the company was a regular target of the antiwar movement. Authorities arrested eights students and four faculty members for their participation in the protests. As the war continued, the Connecticut movement expanded beyond its campus base. There were numerous protests, including a march and rally on April 26, 1969, in Bushnell Park in Hartford. A variety of organizations came together a short time later to begin organizing the Vietnam Moratorium with a plan to meet the escalation of the war with an escalation of opposition. To that end, activists scheduled the moratorium for October 15, 1969, as the first of a series of days when there would be “no business as usual” until the war ended. People in Connecticut’s towns and largest cities heeded the call and events took place in 35 communities. All told, close to 100,000 people participated statewide. 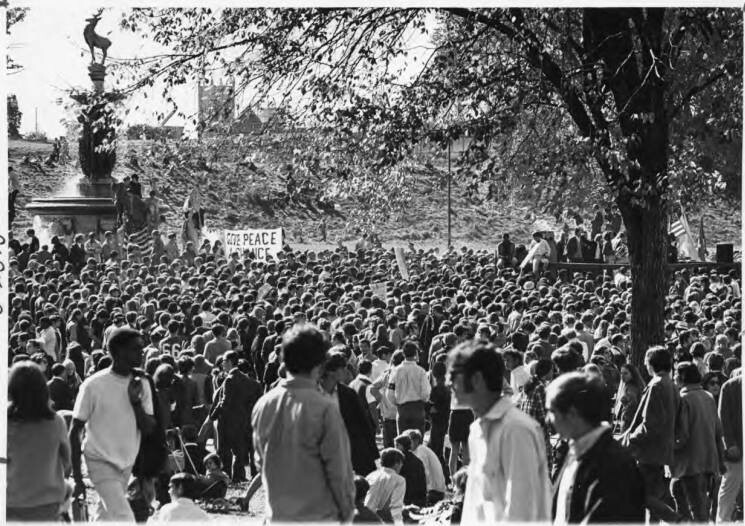 The largest gathering of antiwar demonstrators was a march and rally in Bushnell Park where 10,000 people turned out. Of particular significance was the presence of a contingent of Vietnam veterans who increasingly joined the antiwar movement through organizations such as Vietnam Veterans Against the War, which had several chapters in Connecticut. The Hartford action also proved noteworthy for the number of blacks who participated. Planners scheduled the march to go through a predominantly black neighborhood with that goal in mind, and Wilber Smith, a black activist from Hartford, was one of the speakers who addressed the rally. Though there were no antiwar protests in the state after the moratorium that matched the size of the October 15 rally in Bushnell Park, actions continued as people found new venues and creative ways to oppose the war. Activists in New Haven, for example, organized events at the Ingall’s Skating Rink protesting the Reserve Officers Training Corps (ROTC) program on the Yale campus. 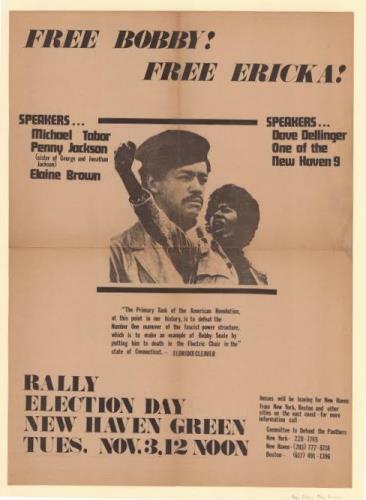 New Haven was also the site of events in the spring of 1970 that culminated in a massive rally on May 1. Activists organized the action in support of national Black Panther leader Bobby Seale (who was on trial for murder in the Elm City), but antiwar issues became a significant additional theme after President Nixon ordered US troops to invade Cambodia earlier that week. 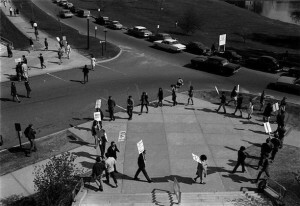 The invasion prompted calls for a national student strike and classes at colleges around Connecticut were either cancelled or effectively boycotted. 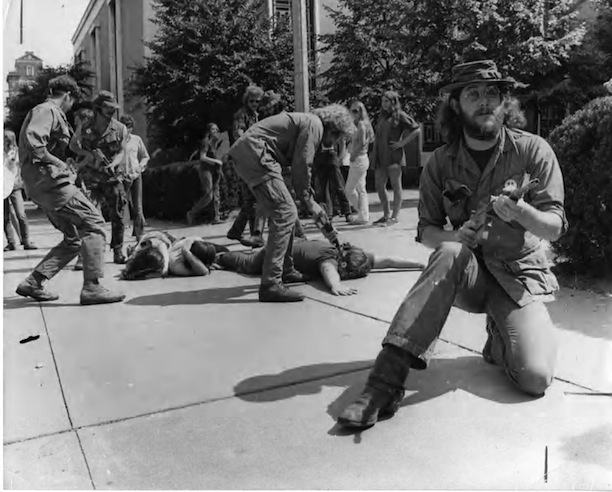 When the Ohio National Guard shot and killed four protestors at Kent State University and Mississippi police shot and killed two students at Jackson State College, protests and strikes grew so large that many schools around the country, including Yale and others in Connecticut, cancelled classes for the remainder of the school year. By 1972, with a substantial number of American troops withdrawn from Vietnam and SDS having fallen apart, Connecticut activity against the war decreased. State residents attended several more large marches in Washington and local protests continued, but none on the scale of those in 1969 and ’70. 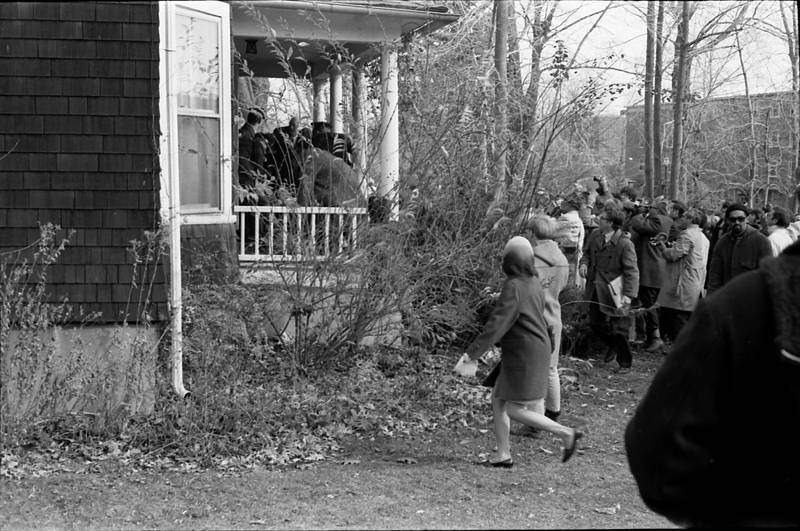 When the last regular American forces left Vietnam in 1973, the antiwar movement in Connecticut, like that nationally, was about at an end. “Veterans History Project.” Central Connecticut State University, 2017. Link. “Veterans History Project: Veterans’ Database.” Central Connecticut State University, 2017. Link. “Voices from the Underground - Exhibit.” Thomas J. Dodd Research Center, University of Connecticut, 2011. Link. Kirkpatrick, Sale. SDS. New York, NY: Vintage Books, 1973. Thornton, Steve. “No Business as Usual: Vietnam War.” ShoeLeather History Project, August 29, 2013. Link.